Go green, Fort Worth, with your Jasper installation! We’re all familiar with the slogan, “reduce, reuse, recycle”. And more and more people in Fort Worth are adopting that environmentally friendly value system. If “going green” is important to you, then you will be pleased to know that Jasper is the right choice to help you support these values. Perhaps you’ve been noticing that your car has started to leave a trail of oil on the garage floor. Or could it be new and strange noises that are causing you to consider that you may have to part ways with your truck? We have good news for you, Fort Worth! There’s no need to put your vehicle “out to pasture” or to rush out and get a new car payment. In fact, with the installation of a completely remanufactured Jasper engine, transmission or differential, you can go green and save some “green”. Now that you know you can give your car or truck a new lease on life with the installation of a Jasper engine, the only thing left to do is to select an authorized installer. Fort Worth, again, we’ve got great news for you. B&M Auto Specialists is a qualified installer of Jasper engines. 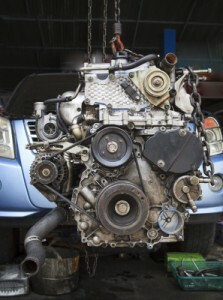 Revitalize your vehicle and protect your budget with the installation of a Jasper engine. Call us today to schedule your installation appointment.